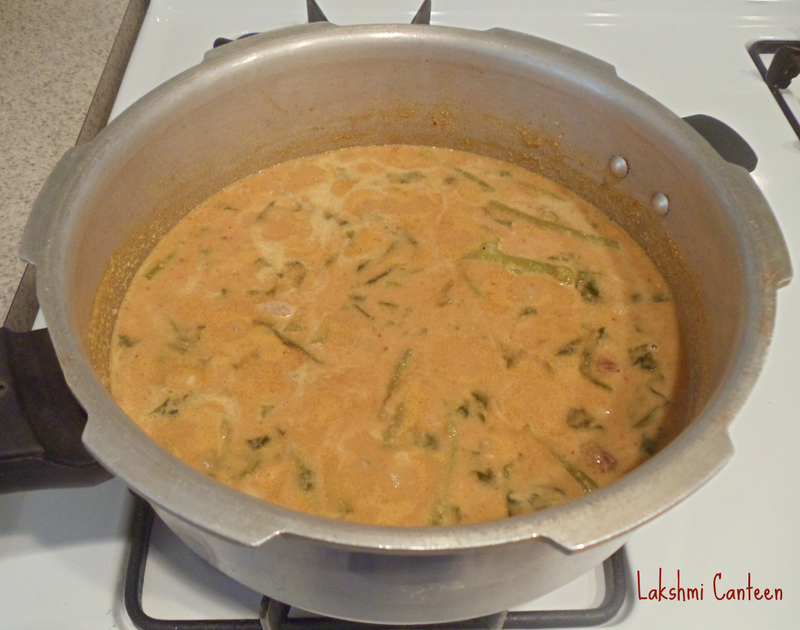 Vaali- Tingalavre Gashi is a coconut based dish. 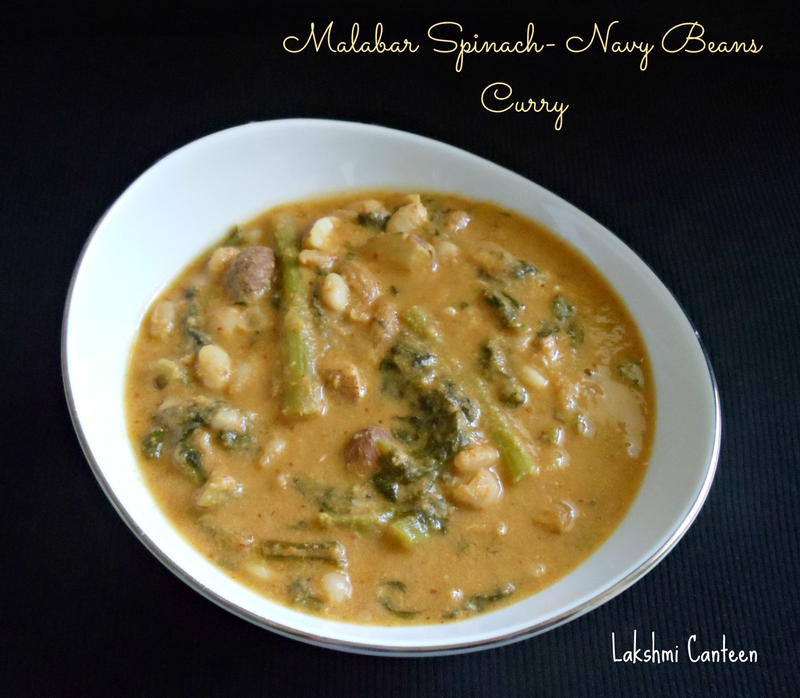 The malabar spinach and navy beans is cooked and then simmered in coconut sauce. 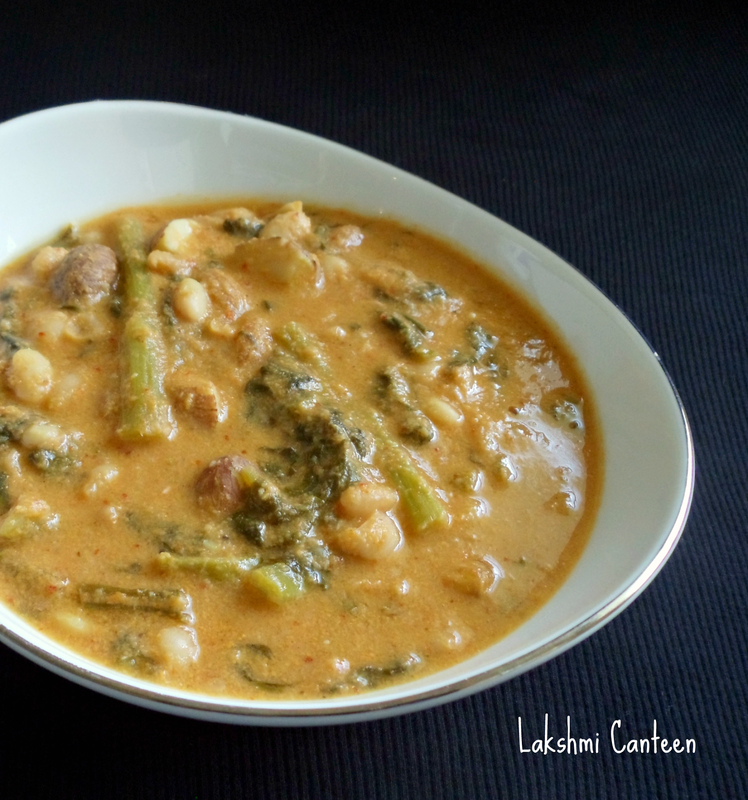 It is finally seasoned with garlic to get a flavorful gravy. I got this recipe from my MIL. She makes it on a regular basis and hence she suggested me to try this version. It turned out pretty good and my husband loved it. 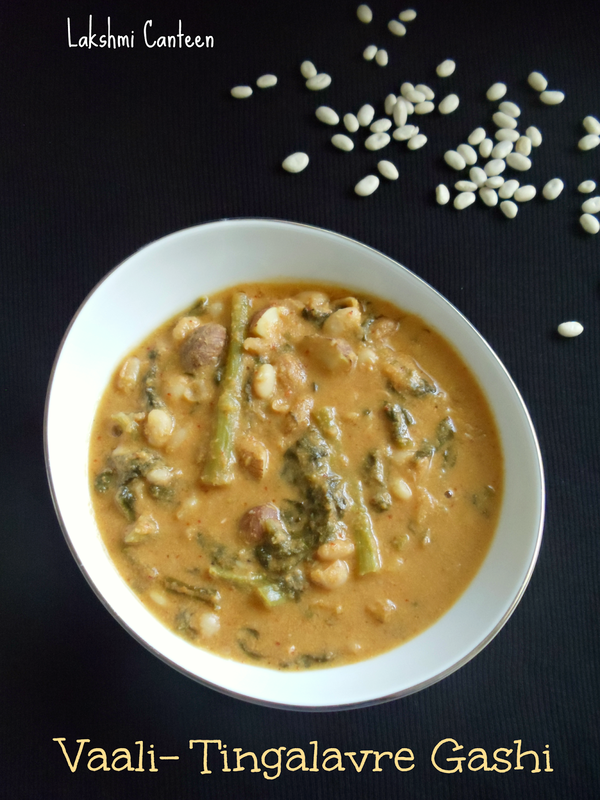 Do try out this variation and get the goodness of beans and malabar spinach. 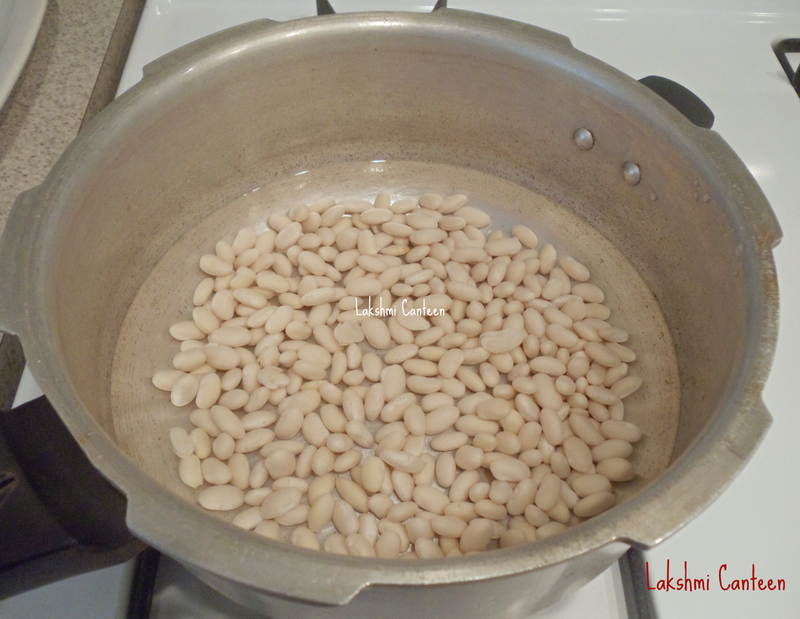 Soak the navy beans in water for 7-8 hours. 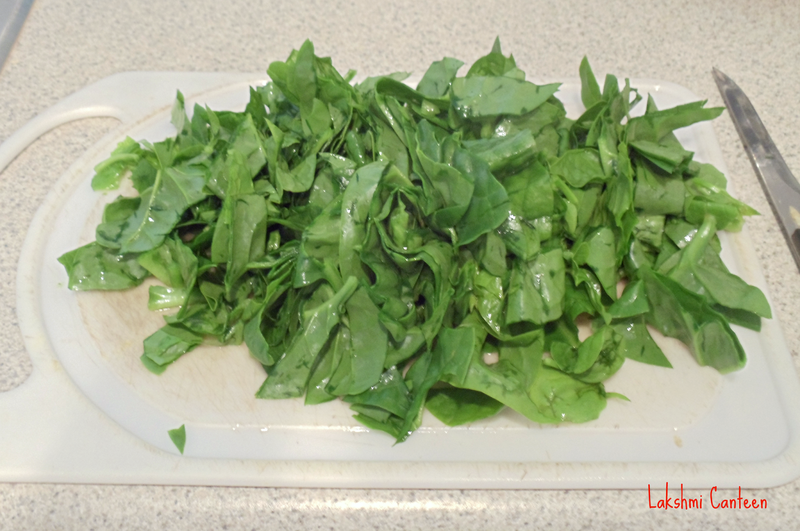 Take the malabar spinach and separate the leaves from the stem. Cut the stem into 1-1.5 inches long. 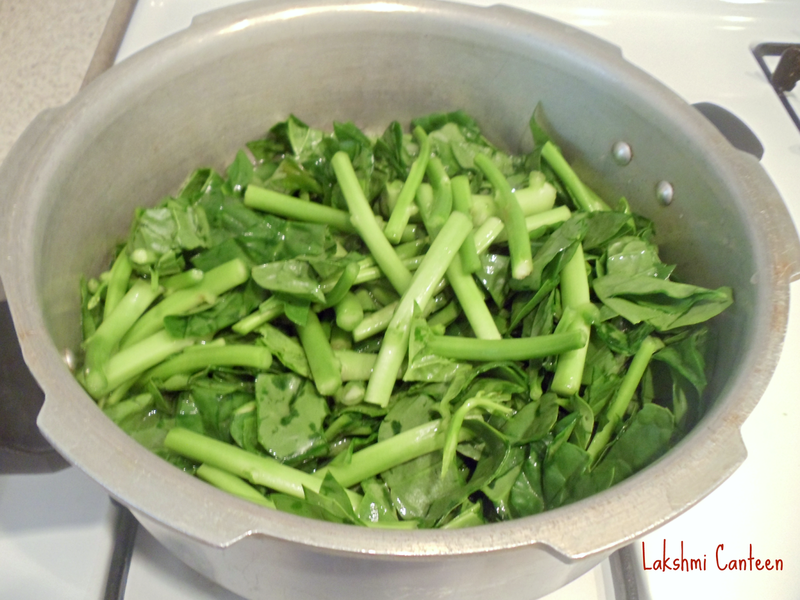 Wash the stem and the leaves. Give a rough chop to the leaves. 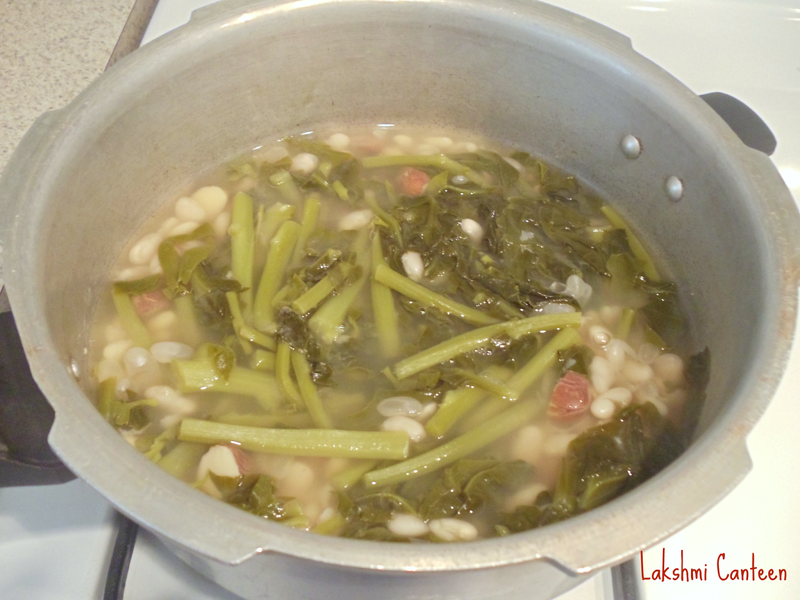 Take the chopped stem, leaves of the malabar spinach and the navy beans in a cooker. Add sufficient water and salt to taste. Cook it for 2-3 whistles. For the masala - Roast the coriander seeds in few drops of oil until a nice aroma is got. Then roast the dry red chillies with few drops of oil, in the same pan for a minute or so. Allow them to cool. 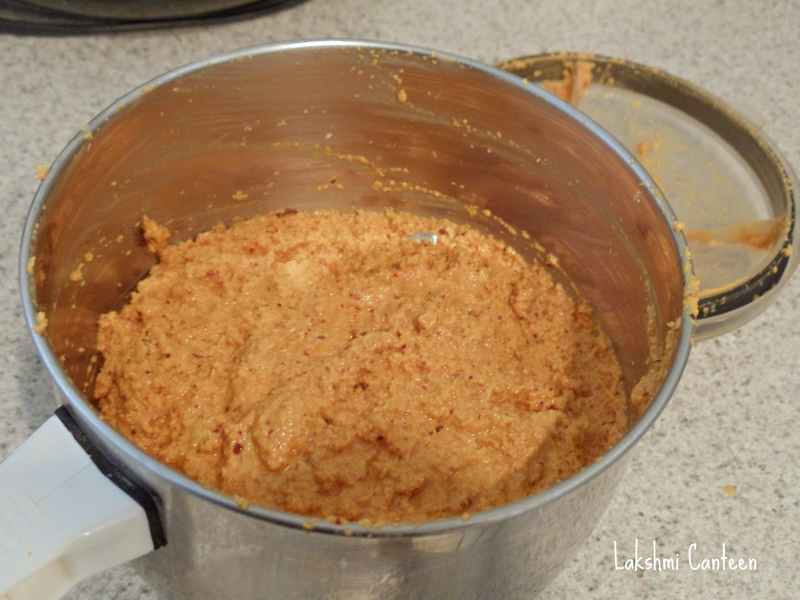 Now grind the grated coconut, roasted red chillies, roasted coriander and tamarind to a smooth paste by adding little water. Add this masala to the above cooked mixture. Mix well and bring it to a boil. When it comes to boil, continue heating for five more minutes. Turn off the heat. For seasoning- Heat the oil and add crushed garlic to it. 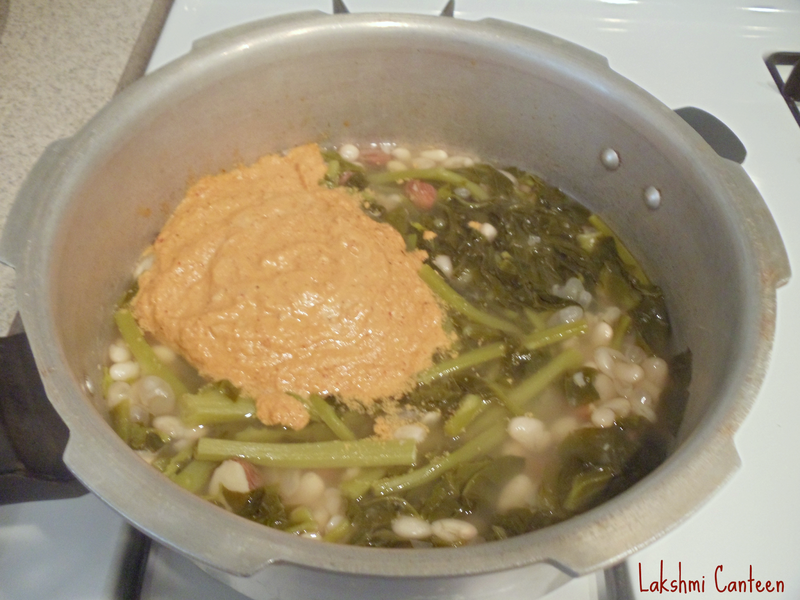 Fry it until golden brown and add it to cooked malabar spinach-navy beans-masala mixture. Mix well. Vaali- Tingalavre Gashi is ready! !